In many cases, customers complain about “Sharepoint Search doesn’t work“. 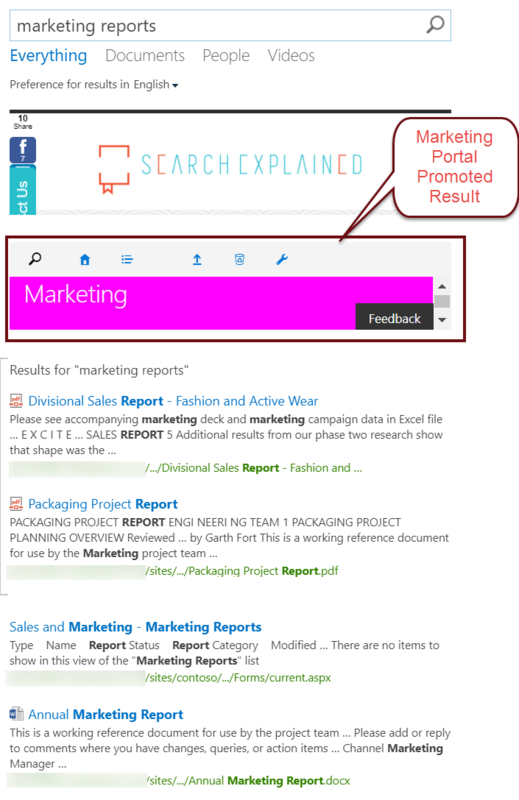 While it is a generic objection, and there are many things to evaluate, one of the recommendations I can give is to consider the usage of search Query Rules in SharePoint and Office 365. 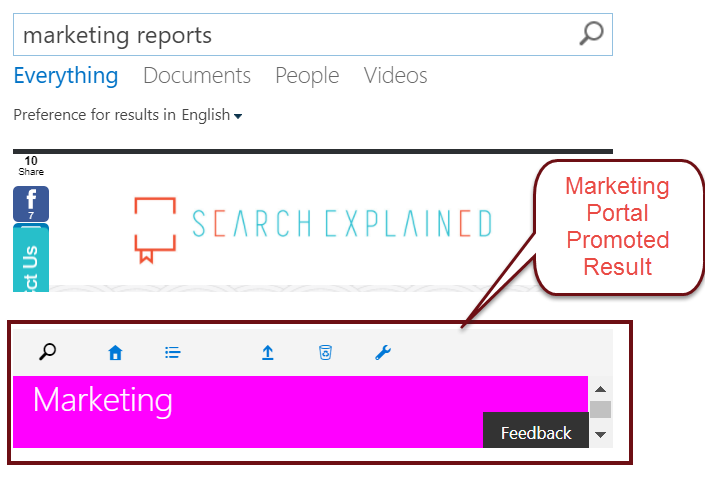 Search Query Rules in SharePoint and Office 365 help to support the users’ search intent, by creating pre-defined rules which apply to the user queries. Query condition(s): Define the conditions when a user’s search box query makes this rule fire. You can specify multiple conditions of different types, or remove all conditions to fire for any query text. Please note that every query condition becomes false if the query is not a simple keyword query, such as if it has quotes, property filters, parentheses, or special operators. change ranked results, such as tuning their ordering. Publishing settings: These settings control when the rule can fire. If the rule is not active, it never fires. The start date is when you want it to start firing. The end date is when you want it to stop firing. The review date is when you want the contact to review the rule. Search Query Rules help to support the users’ search intent. After this quick introduction, let’s see how a Query Rule looks like in practice. When you create a Sharepoint Search Query Rule on any level, the levels below inherit it. Open the Search Administration settings from the left-side menu. Click on “Manage Query Rules“. Go to the Site Settings page. Under Site Collection Administration, open “Search Query Rules“. Under Search, open “Query Rules“. Query Rules are always connected to a Result Source – the first step is to select it from a dropdown menu. After selecting one, you get the list of Query Rules assigned to the selected Result Source. Also, you can create a new Query Rule here. Note: If you want your Query Rule to fire for each Result Source, you have to scroll down to the bottom of the list, and you find the “All Sources” option there. Two or more conditions can be combined, in which case there’s an OR operator between each. If there is no condition in a Query Rule, that means the rule fires for each query in the proper Result Source. Thee are several actions that can be taken when a Query Rule is being created. The one I’d like to introduce in this post is to promote a result – see the other options in later posts. When we want to promote a result, we have to click on “Add Promoted Results” under “Actions” on the Query Rule page. After saving the settings, the new Search Query Rule will be immediately applied, and you can start using it. If you still have question about Sharepoint Search then let me know by leaving a message in the comments section! Search Is Broken. Users Are Unhappy. What To Do? How to Turn Off a Query Rule? 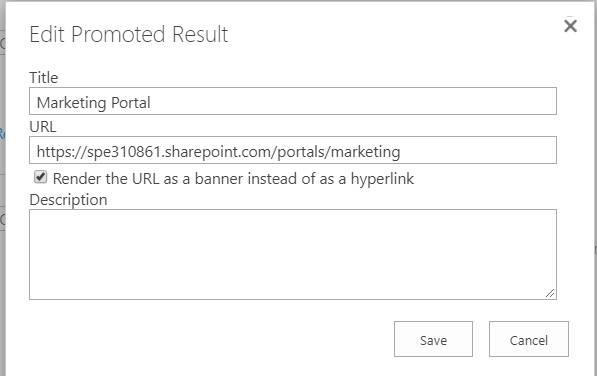 Do you know if it is possible tp display a promoted block in the search results at the same time as showing a promoted result? I have added both to a Query Rule, but only the Promoted Result gets displayed in the search results. If I delete the Promoted Result from the query rule then the promoted block is correctly displayed – however we want both to be displayed.